It’s October and the chickens are in the middle of their annual moult. 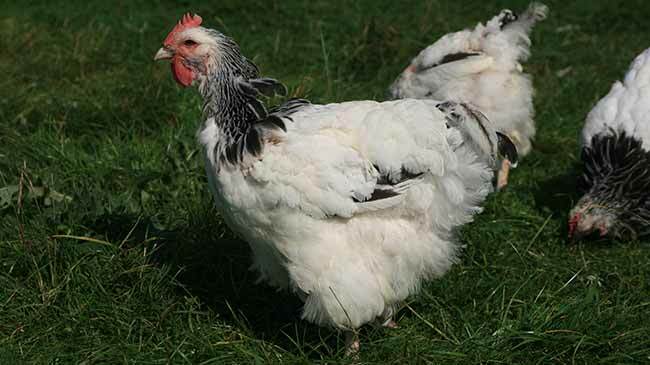 Moulting chickens take a rest from laying eggs and need a little extra care and attention. Chickens feathers slowly get damaged through the year and if your girls are anything like mine, rather stained and muddy too. Fortunately, they have a little trick they use to lose their glad rags and re-appear in fine feather before winter and this is called the annual moult. A full moult usually takes place during late August or September and can last between 6 and 12 weeks. Young birds and productive layers can moult the fastest, losing feathers so quickly, they can almost look oven ready which can be alarming, especially for first time chicken keepers. 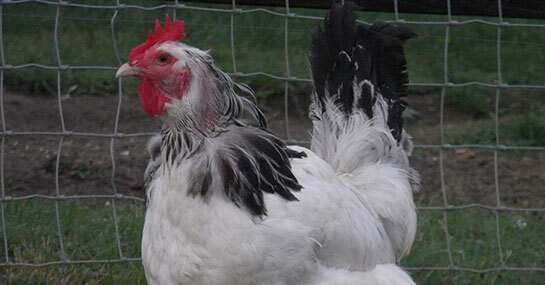 Older hens and larger pure breeds take the longest to moult. A partial moult can occur at other times of the year too. This can be brought on by stress and sometimes there is no obvious reason why your chickens are stressed but it could be something as simple as a sudden change in diet or a fox visiting the garden. There are a host of reasons why they can get stressed (and this page on the keeping-chickens website is a useful resource if you want to learn more). The moult itself is also a stressful time for chickens. They will certainly be under the weather. It’s a time when their immune systems are low and as a result of this can pick up any passing disease or parasite. My girls will stop laying when they moult, very few chickens continue laying. Egg yolk is packed with protein (Did you know that chicken egg protein contains more essential amino acids than any other protein? Clever girls) and this is needed to produce new feathers. It’s a well-earned rest I wouldn’t begrudge them of this. Some people like to get the moult over with as quickly as possible and there are books that suggest forcing the moult by reducing feed and / or protein in their ration when they start to moult to speed things up. Personally, I prefer not to do this. It’s a stressful time for them as it is and if you go too far, they will be even more run-down and likely to fall ill. Here you can see the pin feathers coming through on the neck full of blood as they grow. My girls get the time they need. I’m not a commercial establishment, I’m not desperate to squeeze another dozen eggs out of the flock, I’m keeping chickens for pleasure as a smallholder so the girls can stop laying, go through their moult and start laying again when they are ready. During the moult, I do a number of additional things to help them get through it. Firstly, once they stop laying, I worm them using Flubenvet. There is no egg withdrawal period for Flubenvet so you can still worm your chickens when they are laying but why not take an extra cautious approach given the chance? I use Cod Liver Oil to make the Flubenvet stick to the layers pellets. Cod Liver Oil is also beneficial to the hens. As I have already mentioned, the moult is also a time when chickens immune systems are lowered so their resistance to internal parasites (worms) won’t be as good. Worming them now should make sure I don’t see problems over the coming weeks. Apple Cider Vinegar (ACV) is a great tonic that assists hens during times of stress and there’s no better time than now to add some to my hens water. I give this to my hens for the first week in every month anyway. The dilution rate for ACV to Water is 2% so 20ml for every 1000ml (1 litre) although I must admit I tend not to measure this, they get a dollop out of the tub added as I refill the drinkers. Remember it must be put in a plastic drinker, the acid will corrode metal / galvanised drinkers and the ACV that you buy needs to be unfiltered / unpasteurised. 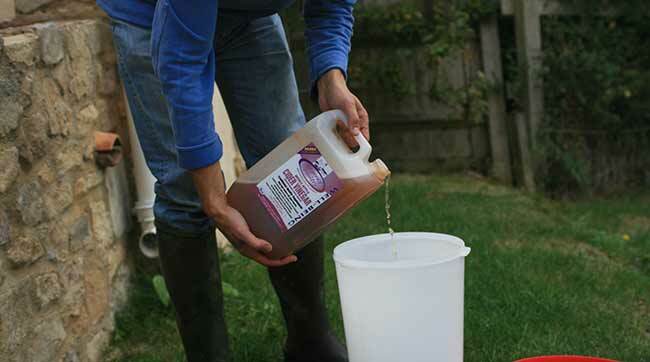 The ACV you find in the supermarkets isn’t suitable, you want to be looking in equine or poultry shops or online. Other than this, the flock gets all the grass they can eat and a good selection of allotment scraps at this time of year. They are moved into a neighbouring run, firstly to break the life cycle of the worms but also to allow the grass to regrow during October, the flush season. I clean up the feathers they have left around (with the lawn mower) whilst trimming the grass to ensure there are no woody bits. 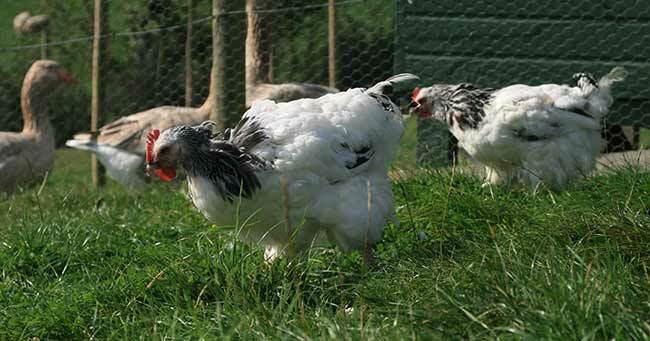 The hens will then spend their winter back in their normal run on fresh grass. Happy hens I hope! Do you have any tips for preparing your hens for winter?